Find Pumpkin Patches and more right here on Hauntworld.com. 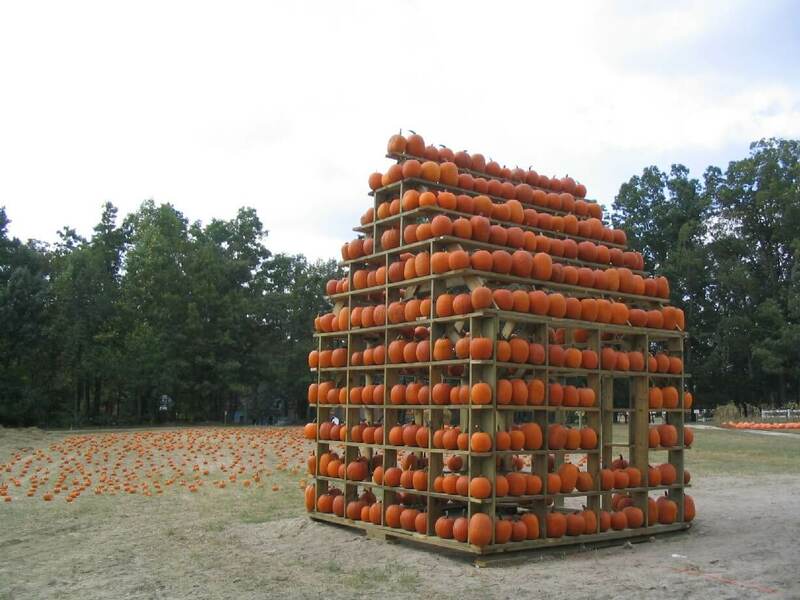 We have sourced out all the information to help you find the best pumpkin patchs, corn mazes, hayrides and more. Additionally we offer pumpkin carving tips and patterns for free!!! A pumpkin patch is techincally a Halloween Attraction because pumpkin patches are no longer just a field with pumpkins in them. Today pumpkin patches are attractions with corn mazes, hayrides, pony rides, straw mazes, inflatable haunted houses, as well as pumpkin everywhere for you to purchase. Pumpkin patches have now become one of the best family attractions to take your kids each and ever single October. 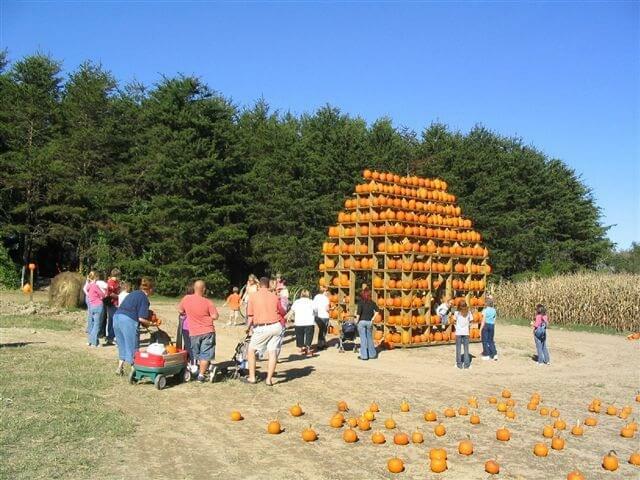 Find a pumpkin patch near you using our directory helping you find the best pumpkin patch attractions by city, state or zip code. Also read our reviews of pumpkin patch attractions. When you are looking for a haunted house visit the front page of www.Hauntworld.com and use our map and click on the state nearest you. Many haunted attractions now feature pumpkin patches, haunted hayrides and other Halloween events. Find them all on the front page o Hauntworld.com using the interactive map. Below find articles and links to other sites to help you find what you are looking for! I started my haunted house at the age of 15 in 1985 out of the love of Halloween. The boo business for me started out as a small haunted farm house on my parent’s farm and grew into a huge Halloween tradition in NC attracting over 45,000 visitors a season. Over the years as the demand for our haunted attraction increased I decided to look into other ways to draw visitors to the farm. In the fall of 1999 after researching various attractions we created the Maize Adventure corn maze. The corn maze grew in attendance just like the haunted attraction did to the point we needed to expand to keep the word of mouth going. We decided that we would try to sell pumpkins to our customer base just to see if they would sell. Even though I never grew a pumpkin in my life, I found out that I did not need to know. In 2005 I found a local farmer that supplied all the big grocery stores in our state and was able to purchase crates of pumpkins at wholesale from him. It is imperative that you contact a grower very early in the season to put your order in; we made our deal in June. To keep our risk low we made had an agreement where I only purchased what I could sell over the weekend. This allows us to have a low startup cost and test the market. There are many types of pumpkins available, however we found the pie pumpkin the perfect size for kids and the traditional carving pumpkin the two best sellers. We built a pumpkin house to display our pumpkins and put up signs to let all the corn maze customers know to visit the pumpkin patch on the way out. We did not advertise the pumpkin patch at all other than onsite signage. To our surprise we sold several thousand of the pumpkins. Due to the success of the 2005 season we then bundled the pumpkin patch into a combo package for our school groups in 2006. The kids that participated in the pumpkin patch combo all got to take home a small pie pumpkin. The marketing was built in automatically, when the kids took home a pumpkin the rest of the family would in turn come out to the farm to purchase the family pumpkin to crave out for the front porch. To our amazement we turned out to be the biggest customer of our grower selling close to 20,000 pumpkins in 8 weeks. In studying the marketing success of our pumpkin sales it was clear to see the secret. Since we catered to school groups coming to the farm starting in September we could sell pumpkins one month before the general public even thought about a pumpkin. Once October arrived we already had our best sales people, the school kids, talking up the awesome looking pumpkin house one full month in advance. The sales of the pumpkins kept increasing every weekend we were open to the public up to the weekend before Halloween. On average the pumpkins cost us $1.25 each and sold for $5.00. We treated our customers to an unforgettable experience by allowing them to pick a pumpkin right off the pumpkin house. The only drawback was trying to keep the house stocked with pumpkins on Saturday afternoon. Foot traffic was a key selling point, so we created several photo opportunities for the families to take photos of the kids. We setup old John Deere tractors for kids to pretend they were driving and a cut of the American Gothic photo where kids could pop their heads through. Even simple hay bales stacked for babies to be propped up along side pumpkins was price less. With a little creativity you’ll soon find that your business is the talk of the town. Adults and children alike will be telling all their friends to go check out the most amazing pumpkin patch. Unlike the traditional pumpkin patches that you find in the parking lots of churches we reinvented the idea and made it our own. Not to mention the thousands of families that paid a visit to our farm were introduced to our haunted attraction being on the same farm. If you think about it haunted houses and pumpkins just go together anyway. Stay tuned for my more secrets in this series of “Thinking outside the Haunted House” coming soon. Find Haunted Houses, Haunted Attractions, Real haunted houses, the best and scariest attractions in the World. Hauntworld.com is the biggest online directory for anything and everything Halloween, Haunted, Spooky, Scary and everything bump in the night. Are you looking for the best haunted houses near you then use the Hauntworld haunt finder directory to help you locate attractions throughout America, Canada and the entire World! Please take time to review the attractions you visit and post your reviews online for all to read. If you are looking for any type of scary attractions from the very scary gory haunted houses to even the family friendly events like pumpkin patches, hayrides, corn mazes to even zip lines and more you will find them here on www.Hauntworld.com. Hauntworld.com helps you find real haunted houses, zombie runs, fall festivals, Halloween and Haunted Attractions. Hauntworld.com is also the best place to find year around haunted houses across the World including the biggest and the best haunted house attractions. Hauntworld.com is also the only website on the web that rates and reviews haunted houses across the globe with our field of reporters reviewing only the scariest haunted houses in the country. Now Hauntworld.com will help you stay updated on all the Zombie haunted themed attractions like Zombie Runs, and or Zombie themed haunted houses! Do you want to learn the history of the haunted house industry then we can provide this as well Hauntworld.com is the biggest and best haunted website on the planet! Halloween has gone crazy in America and now the World and Hauntworld.com will help you find just the right scary attraction for your next haunted encounter! Also join our facebook page to stay updated daily! Happy Haunt Hunting!